July 12, 2012, 1 p.m.
From Nieman Reports: Is your source secretly a lobbyist? CREW’s Melanie Sloan tells the cautionary tale of Rick Berman. 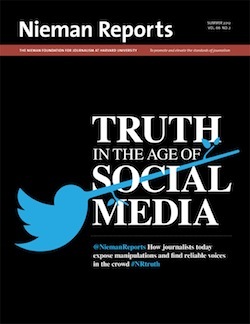 By Stefanie Friedhoff July 12, 2012, 1 p.m.
Editor’s Note: Our colleagues upstairs at Nieman Reports are out with their Summer 2012 issue, “Truth in the Age of Social Media,” which focuses on issues like verification, crowdsourcing, and citizen journalism. Over the next few days, we’ll give you a glimpse at some of their stories — but make sure to read the issue in full. In this piece, a conversation with the head of the nonprofit government watchdog group Citizens for Responsibility and Ethics in Washington. A lawyer who once was a federal prosecutor and counsel to powerful Congressional committees, Melanie Sloan now chases legal and ethical wrongdoing in Congress. As executive director of the nonprofit government watchdog group Citizens for Responsibility and Ethics in Washington (CREW), she frequently follows up on in-depth reporting in the media. Her team’s investigation of U.S. Representative Charles Rangel, a Democrat, for example, started with a story she read in The New York Times about the number of apartments he was renting in New York at below-market rates. As her organization keeps an eye on abuses of power on both sides of the aisle, Sloan has also noticed that lobbyists have gotten more sophisticated in pushing their agendas. Nieman Reports’s Stefanie Friedhoff spoke with Sloan about how journalists are being deceived, how experts with no expertise end up in news articles, and why “he said, she said” reporting isn’t helping. Edited excerpts of the interview follow. Stefanie Friedhoff: CREW has documented how lobbyists, grassroots organizations, and other special interest groups succeed in getting biased or false information — often presented as facts and expert advice — published in the media. How does this work? Melanie Sloan: Yes, it happens all the time. Every special interest imaginable seems to be headquartered in D.C., and some speak louder than others, sometimes thanks to their greater financial backing. The proliferation of cyber advocacy has shown that while it may now be easier to educate the public about important issues, the potential for abuse is greater than ever. Friedhoff: Can you give us a few examples? Sloan: Richard Berman stands out as the unrivaled king of manipulation. You may not have heard of Berman, but you have undoubtedly — and possibly unknowingly — seen his work. He runs the for-profit public relations firm Berman and Company. His particular gimmick is to start up so-called nonprofit organizations — which receive favorable tax treatment by the IRS — financed by corporations with specific agendas, but which don’t want their fingerprints on the message. Berman names himself executive director of each organization and then contracts with Berman and Company to handle the organization’s activities. By CREW’s count, he has created more than 25 such groups and websites, all of which are “staffed” by those who work for his PR firm, with each employee holding any number of different positions. One Berman and Company staffer, for example, at one point served as the chief administrative officer of Berman and Company, senior economic analyst and senior research analyst with the Employment Policies Institute, government affairs director at the Center for Consumer Freedom, and director of state affairs, spokesperson and lobbyist for the American Beverage Institute, among others. Through these alleged public interest groups, Berman and his minions push their corporate sponsors’ views in the media and are regularly cited in news articles as “experts” on subjects ranging from labor law to drunken driving to childhood obesity. Their real, well-financed agenda is hidden from unsuspecting readers. POSTED July 12, 2012, 1 p.m.
Friedhoff, Stefanie. 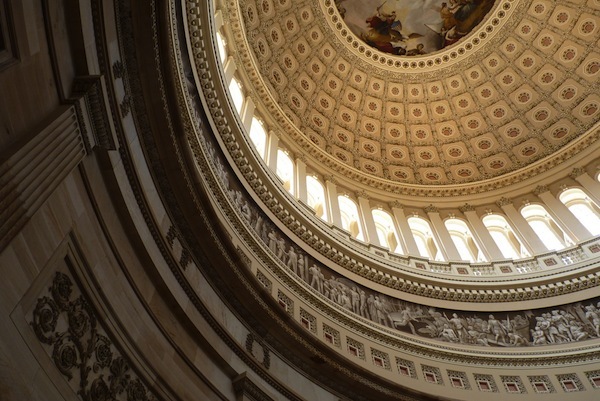 "From Nieman Reports: Is your source secretly a lobbyist?." Nieman Journalism Lab. Nieman Foundation for Journalism at Harvard, 12 Jul. 2012. Web. 19 Apr. 2019. Friedhoff, Stefanie. "From Nieman Reports: Is your source secretly a lobbyist?." Nieman Journalism Lab. Last modified July 12, 2012. Accessed April 19, 2019. https://www.niemanlab.org/2012/07/from-nieman-reports-is-your-source-secretly-a-lobbyist/. | title = From Nieman Reports: Is your source secretly a lobbyist?